Donna R. Metz, 85, of Fort Myers Beach, Florida passed away peacefully at Joanne's House at Hope Hospice in Bonita Springs, Florida. on February 4, 2019. She was born in Terre Haute, Indiana, the daughter of the late Paul and Anna Noakes. She graduated from Garfield High School and received her BS degree from Wayne State University, Detroit, Michigan. Mrs. Metz taught elementary school in Michigan, New York, and Wisconsin before retiring to Fort Myers Beach in 1994. She was also a volunteer at the Fort Myers Beach Public Library and The Friends of the Library Used Book Store on Fort Myers Beach. 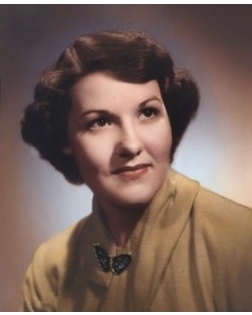 She is survived by her husband of 66 years, Jack, son Dr. Mark B. Metz (wife Ramona) of Wisconsin Rapids, WI, and daughter Teresa (husband Terry) Westerhaug of Bridgewater, NJ., as well as grandchildren Annaleah Westerhaug and Rachel Metz, sister Linda, and many beloved nieces and nephews. She was preceded in death by sister, Joan. A memorial service will be held on Saturday, February 9, 2019 at 1:00 PM - 3:00 PM at the Harvey Engelhardt Funeral Home 1600 Colonial Blvd. Fort Myers, FL 33907. Light refreshments will be served following the service.